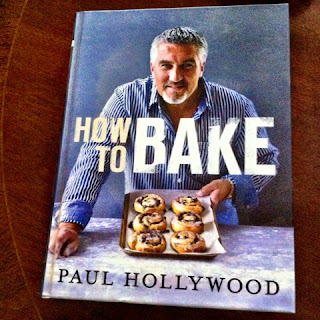 This week my recipe is from Paul Hollywood's How to Bake. I was looking for a cake or pudding recipe so this was perhaps not the obvious book choice but it came up trumps! 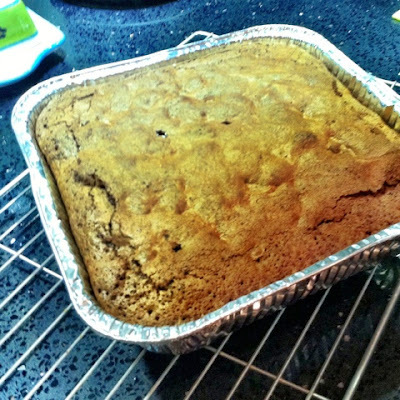 I chose the Chocolate Brownies with Dried Cranberries as amazingly I had some dried cranberries in the cupboard. I suspect this means I bought them with a recipe in mind but by the time the Ocado man delivered them I'd long forgotten which recipe I'd bought them for. This happens a fair bit and is something I'm resigned to now, but at times (like this) it all works out! I thought that brownies could double up as cake with tea and as a pudding with ice cream, so that would buy me some time back in the kitchen. My parents are back from their week in Croatia and are spending a few days with us. I prepared a Chinese feast (well three dishes and rice) for their first night here so having more time to prep for this was very helpful! The recipe said to melt the butter and chocolate over a Bain Marie, however I'm very much of the opinion that this is where the microwave comes in. 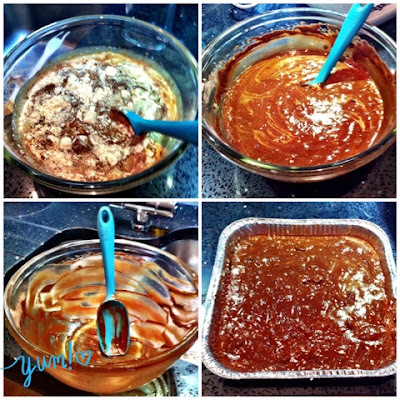 As long as you don't go too mad and burn the chocolate, or the butter that is. And I didn't. Phew. As well as the 80g of dried cranberries the recipe also calls for 100g of walnut pieces. In the end I only added about 80g as that looked plenty. And having tasted these, I don't think I'm missing out on my walnuts! 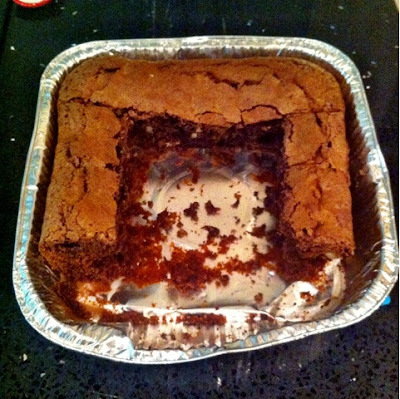 I always cook brownies in a disposable foil tray; this helps with storing them, but it also means I can cut the brownies in the tray without scratching my baking tins. Mine doesn't quite look the same as Mr Hollywood's, and I've no idea what his taste like but mine taste fab, the dried cranberries give them a bit of a zing which is good (and I'm not really a cranberry fan). The doubling up of cake and pudding worked. We've eaten the edges as cake with a cup of tea, and have had the middle section - which is a bit more squidgy-er - with ice cream as dessert! The dried cranberries and walnuts add interesting texture. 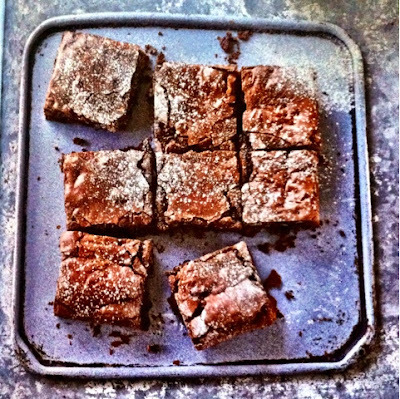 It's a shame brownies *never* hang around for long! 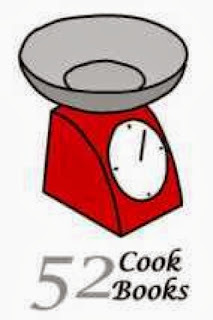 This week Jenny at Mummy Mishaps is hosting 52 Cookbooks, so pop over and see what everyone's been cooking.